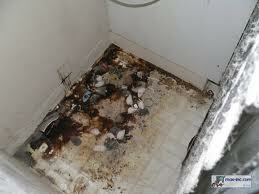 End of tenancy cleaning is quite a hard task which requires time. Most people always find more interesting things to do and postpone or skip this part of the move out process. The thing is, that if you don’t clean the place before you leave, you’ll lose your rental deposit. But how to get motivated to clean at the end of your tenancy, when you’re depressed from the change you have to make and all the work you have to do? The easiest thing you can do is to play some music. Play your favourite record, music will cheer you up and charge you. If you want you can even sing while cleaning, singing will make you feel even better. Call a few of your friends and ask them to help you. The end of tenancy cleaning is a good opportunity to have a chat and catch up with them. It will be a long, funny and relaxing conversation. If you like to compete with your friends, challenge them on a cleaning competition. Whoever loses it, organises a party for the others. If you don’t want to bother your friends with your problems, clean on your own, but set a timer for each chore. This will motivate you to clean faster and to beat time. Have a glass of water and take a deep breath before you start cleaning. I often use this tactics, it’s like a new beginning. And if you think that none of these tips will help you to get motivated for end of tenancy cleaning, then call a move out cleaning London company and let its specialists do the work for you.